Walking around NAMM, there is just so much to take in. So much to see. When I arrived, I started realizing all the things I missed. It’s so hard to get it all, because there is a point where you have become blind to the noise and action that you might miss a booth or two. Since I’ve been back, I’m always asked what were some of the highlights. What definitely caught my attention were a few builders working on some great things. Crazy Tube Circuits is coming up with some fantastic stuff! I was impressed with Rainger FX out of London. But there was one pedal that I checked out, that kept coming back to and checking out. That was the Empress Echo System. First off all, I’ve been a fan of Empress for years. I owned their Superdelay and was slightly obsessed with it when developing my early solo/looping projects. When I stopped at their booth, I asked what was new and they pointed me to the Empress Echo System. When I put on the headphones and started to hear what this was about, I was blown away. 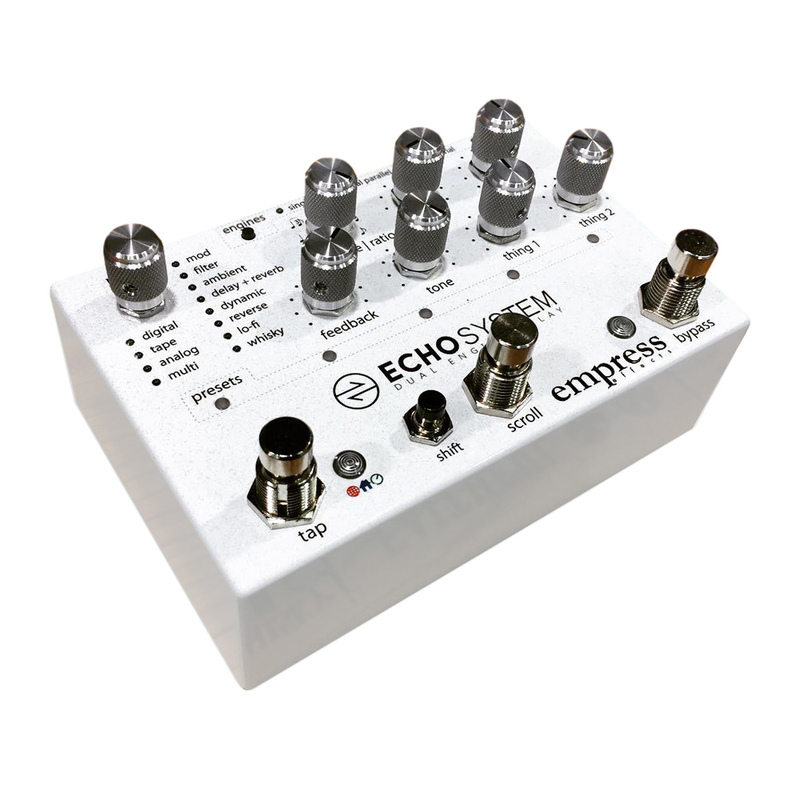 To me this, is the most versatile and robust echo/delay pedals out there. There are 25+ modes of classic tape/analog delays. There are a pair of delay engines and uses a mix of analog (dry path) and digital processing. Aqua Puss.. who wants a sweet deal?